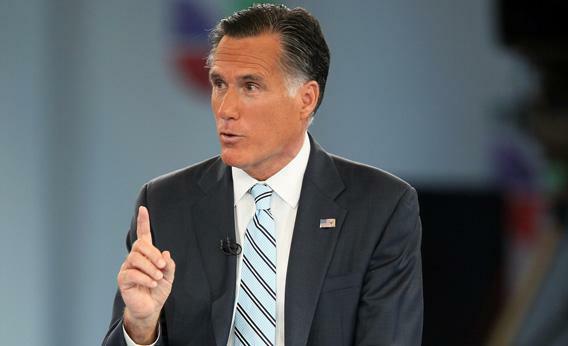 Romney’s Spray Tan: When did white people start deliberately tanning themselves? When Did Tanned Skin Become Fashionable? How Coco Chanel may have inspired Mitt Romney. Mitt Romney uses spray tan to maintain his healthy glow, according to an anonymous source who spoke with BuzzFeed. A Romney spokesman flatly denied the claim. When did tanned skin come to be considered attractive? In the 1920s. Many Europeans and Americans considered pale skin a mark of wealth and leisure until the early 20th century. Around that time, doctors began to prescribe sunbathing for a variety of ailments, most notably tuberculosis, which was the second-leading cause of death in the United States in 1900. Wealthy sufferers loaded up their trunks and headed for sanatoriums, where they did little other than lie out on chaise lounges. As the sun gained currency as a medication, monied Europeans flocked to resorts on the French Riviera. If there was a single person responsible for popularizing the tan, it was Coco Chanel, who bronzed herself on a yacht in the Mediterranean and declared in 1929, “A girl simply has to be tanned.” It didn’t take long for celebrity males to pick up the trend. Hollywood icon Cary Grant actively worked on his tan. Studies have shown that modern white Americans, Australians, and Europeans believe tan skin is a sign of health. In a 2006 study of Australian teenagers, for example, respondents overwhelmingly found tanned models healthier and more attractive. The study offered some support for Mitt Romney’s alleged chemical darkening. Participants found darker tans healthier in men than in women. A 1996 survey of Swedish adolescents turned up an interesting fact: High self-confidence was associated with more sunbathing among boys but less sunbathing among girls. The tanning trend is still something of a flash in the pan, if one considers the long history of pale-skin worship. Minoan women avoided the sun more than 4,000 years ago to keep a porcelain-like complexion. The Western literary canon is bursting with praise for white skin. (Shakespeare’s sonnets are particularly rich in such references.) Renaissance European women drew blue lines onto their faces to create the illusion of translucency. Until the late 19th century, European and American women used lead- and arsenic-based lightening treatments, which put many courtesans into early graves. The men were sometimes affected as well: Hundreds of unhappy Italian wives in the 17th century poisoned their lustful husbands with the arsenic-based cosmetic Aqua Tofana. (Authorities executed the product’s purveyor in 1659.) Antebellum Southern women chewed on newspaper, because they believed the ink whitened their skin. Commercial skin-lightening creams have been popular among black South Africans since the 1930s, although political opposition to the products has been on the rise since the 1960s. (Several African countries have banned lightening creams, either for medical or cultural reasons.) The skin-lightening cream Fair and Lovely has been a mainstay at shops in India since 1978, and Western cosmetics companies are now peddling their own lighteners to men and women in the subcontinent. It should be noted that Indian consumers aren’t striving for the translucent skin of European courtesans but rather for a hue known on matchmaking websites as “wheatish.” Chinese beachgoers are so concerned about tanning that many don a balaclava-like accessory known as a “face-kini” to shield their delicate skin from the sun.